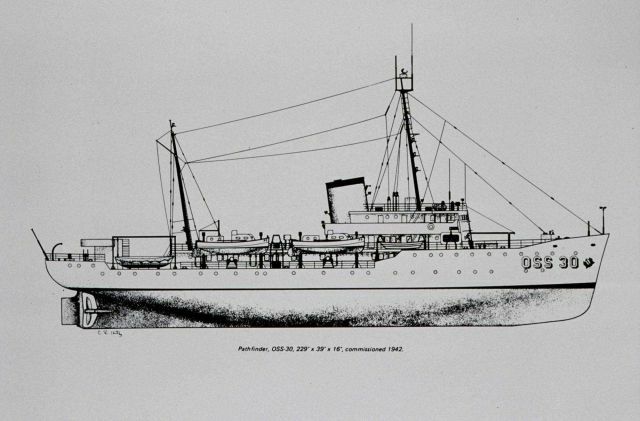 Coast and Geodetic Survey Ship PATHFINDER. In service 1942 - 1971. Line drawing.